However, the conditions imposed by a bench comprising of Chief Justice Dipak Misra and justices A M Khanwilkar and D Y Chandrachud includes that he would not open or close any bank account abroad. Karti, facing a probe by the Enforcement Directorate and the CBI in cases including the one relating to FIPB clearance to INX Media for receiving foreign funds to the tune of Rs 305 crore when his father was the finance minister, has been allowed to go abroad from tomorrow till May 27. “Any violation may attract adverse consequences. The petitioner also has to file an undertaking about his flight schedule and return date to India. He also shall not open or close any overseas bank account and not enter into any property transaction abroad. 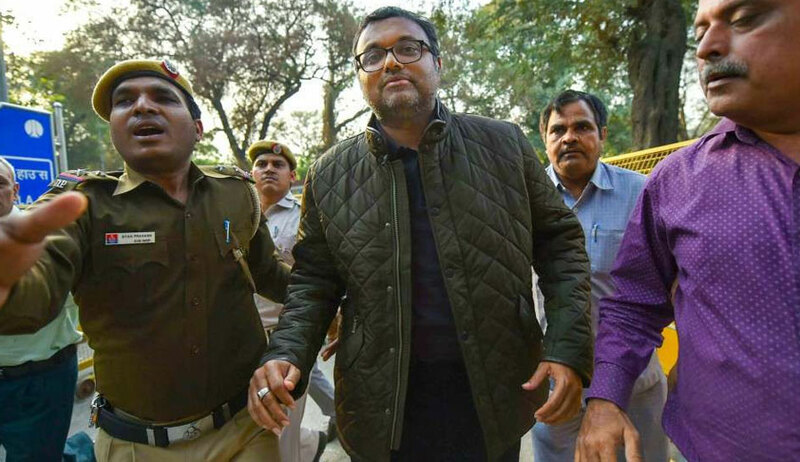 If the undertaking was not filed before Karti leaves India with the court, then the petitioner shall not be allowed to go abroad”, the bench said. It directed that Karti to cooperate in the investigation and made it clear that the permission granted to him to go abroad shall not be used in any court of law for securing statutory or regular bail in any other offence. After a request from Additional Solicitor General Tushar Mehta, the bench asked Karti to furnish a copy of his undertaking to the counsel for the Enforcement Directorate (ED). It also directed Karti, represented by senior advocate A M Singhvi, to return his passport to the probe agency when he comes back.